Dust mites and bed bugs are two of the worst things that could happen to your mattress. However, with some protective measures, you can prevent them from being present and causing you harm. Using an organic mattress protector is an effective way to avoid the accumulation of bed bugs and dust mites in your mattress. 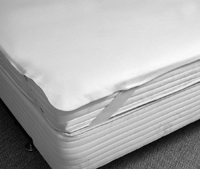 A high-quality organic mattress protector will keep your mattress clean for a longer period of time. It can be convenient if you lack time to actually clean your mattress, too, since you can rely on it to keep the mattress clean and fresh. 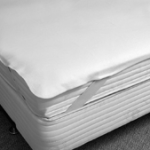 High-quality organic mattress protectors are made of organic and natural materials that can help prevent allergic reactions, skin irritation, and respiratory problems caused by bugs. They are free from harmful substances and toxins, too. Organic wool is not treated with toxic chemicals, which strip lanolin away. Lanolin is a naturally occurring substance that makes organic wool hypoallergenic and resistant to dust mites. Organic mattress protectors have antibacterial properties, too. Clean your mattress periodically – Use a vacuum cleaner with an attachment for upholstery and an air filter that can effectively trap dust and mites instead of hitting the mattress and pillows to dust them off. If you are cleaning other parts of your room, avoid dusting to prevent the particles from spreading and settling on your mattress. Use a natural insect repellent – Mix a cup of lemon juice with a cup of warm water to create a natural insect repellent, which you can spray on all sides of your mattress. This can help ward off the bugs and eliminate odor. Always check for bed bugs – If you travel a lot, make sure your hotel does not have bed bugs and avoid putting your suitcase on your bed, since the little critters are known to hop on suitcases and on to your bed.